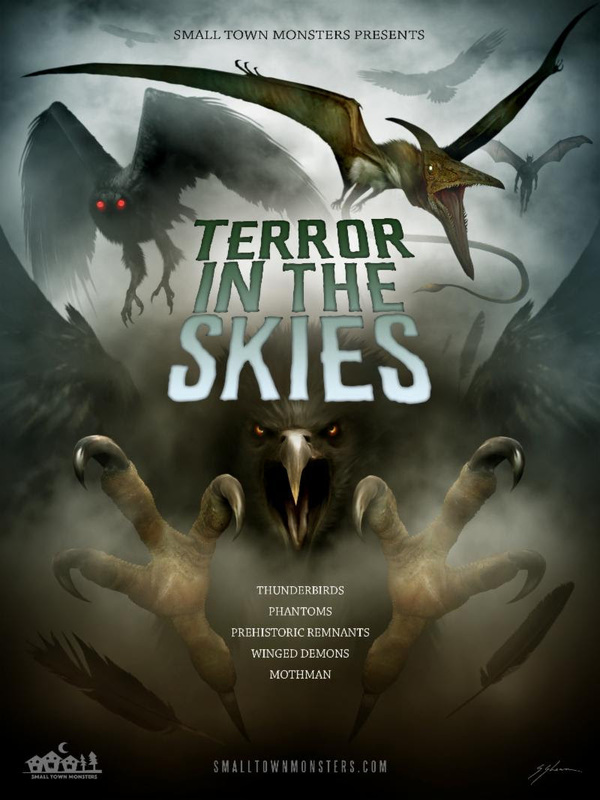 Los Angeles, CA — Small Town Monsters has released the first trailer for Terror in the Skies and outlined their plans for 2019. Director Seth Breedlove explores hundreds of years of terrifying reports of encounters with massive, winged creatures around the land of Lincoln. From Alton’s man-eating Piasa Bird legends to recent sightings in Chicago of a creature said to resemble Point Pleasant, West Virginia’s infamous Mothman,Terror in the Skies unlocks a centuries-old mystery. 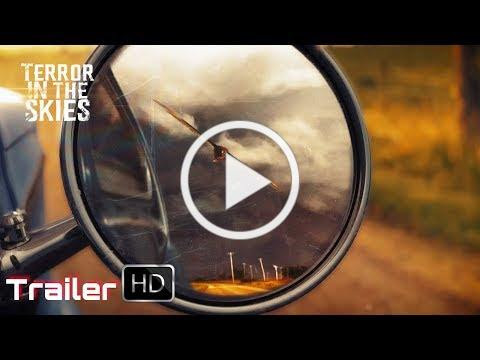 The first trailer for Terror in the Skies promises to open viewers’ minds to the possibility that such a thing could exist by way of believable witnesses and fascinating photographic, video and audio evidence. Small Town Monsters made waves in 2017 with their documentary The Mothman of Point Pleasant, which Terror in the Skies acts as a “spiritual sequel” to and one that will be concluded in 2020 by the final film in their Mothman trilogy, The Mothman Legacy. Small Town Monsters is funding Terror in the Skies, as well as a second film (MOMO: The Missouri Monster) through a Kickstarter campaign launching this week and running through March 9th. The campaign offers backers the opportunity to have their names added to the credits of the films, or have the chance to appear on-camera, alongside posters, apparel, DVD copies of the films and more. Journey to the heartland of the Midwest in this new documentary which offers an in-depth look at an ongoing phenomenon. Director Seth Breedlove contacted numerous witnesses and investigators who claim to have seen massive beings in the sky as recently as last year. One of the most recent, and popular stories in recent years has been an ongoing wave of sightings of a red-eyed, shapeless creature dubbed “the Chicago Mothman”. Terrorist in the Skies is narrated by author, musician and television personality Lyle Blackburn. It is co-written by Seth Breedlove and Mark Matzke, with cinematography by Zac Palmisano, an original score by Brandon Dalo, and sound design by Jason Utes.